What can a GoPro do? Here’s a more relevant question: What do you want it to do? Asking this question is more like asking yourself about your own wishes and desires for unique video footage. When you determine what you want to capture, all you must do is connect the camera to the appropriate mount and press the Record button. Although still-photo capability rarely (and rarely means almost never) finds its way onto the list of reasons to buy a video camcorder, GoPro is the refreshing exception to that rule. It not only gets up close and personal with its ultra-wide-angle view, but also does it with extreme sharpness. You can take still capture even further by capturing a scene at preset intervals to create a time-lapse movie. 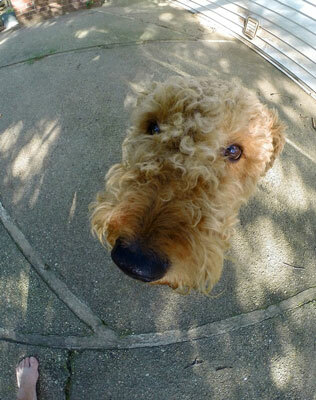 Although the current editions of the GoPro have excellent still-photo quality, it increases with each model. Still capture with the GoPro is remarkably good, especially at a unique angle. The GoPro liberates your imagination by allowing you to capture situations that in the recent past seemed like fantasies. Since the early days of motion-picture capture, people always had the desire to present each shot with a unique perspective. At some point or another, we’ve all wanted to mount a video camera on a car bumper to capture compelling footage or fly it remotely over the action on some hobby craft, but doing so was never feasible or practical. The ambitious efforts of the more adventurous often ended in a crash landing. Attach it to your dog. Use it on a surfboard. 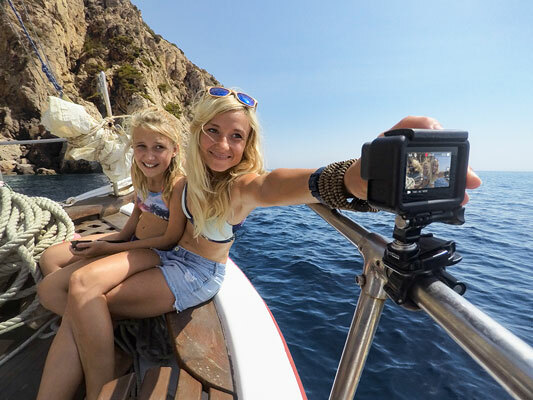 Although all current GoPro models let you capture full-frame high-definition (HD) video, the quality and frame-rate options increase with the 4K setting. Using H264 compression, the GoPro compresses captured video files to fit more information on the microSD card, and the compressed files maintain substantial quality when opened. 4K is a high-resolution setting for video capture. Think HD and then quadruple the quality. The 4K mode captures 3820 x 2160 resolution with a frame rate of 30 frames per second (fps) on the HERO5 and HERO4 Black Editions. The higher frame rate cuts down the choppiness when capturing action sequences. The HERO4 Silver Edition and HERO3+ Black Edition capture at 15 fps. The HD modes on all current HERO models capture between 30 and 120 fps. The HERO4 Black and HERO5 Black can record to 240 fps in the 720p mode. The more frames a camera captures, the smoother the playback. At 15 fps, situations that have less movement render much better than those with fast action. The GoPro system can make you feel like Inspector Gadget. There’s something very spylike about securing your GoPro anyplace you want — high or low, moving or stationary— and then monitoring the scene on your smartphone. Thanks to the camera’s various mounting plates, you can put it almost anywhere, even a boat rail as seen in the following figure. You can easily use the Large Tube Mount anywhere, including on a boat rail for a quick family portrait. Wi-Fi capability doesn’t mean you can check your fantasy-football scores when shooting, but it does provide some pretty radical communication between the camera and your smartphone or remote. You can control the camera over Wi-Fi with your smartphone, tablet, or Apple Watch. You can also use devices as a monitor. The HERO5 also can automatically upload to the GoPro Plus Cloud. You will need a subscription to do it.